Did Thanksgiving sneak up on you this year? November 22nd is actually the earliest possible day to celebrate the holiday that falls on the fourth Thursday in November. While 2018 brought a turkey feast early, it also ushered in the holiday season a few days earlier. Whether you’ve been strategizing and budgeting since January 1st or you’re just starting to compile a list of folks to shop for, we’ve compiled ideas for every gardener on your list. Maybe your favorite millennial just bought her first home and has aspirations of growing an edible garden. Perhaps your mom just retired and finally has time to give her garden some much-deserved attention. Here are a few items to get them started. 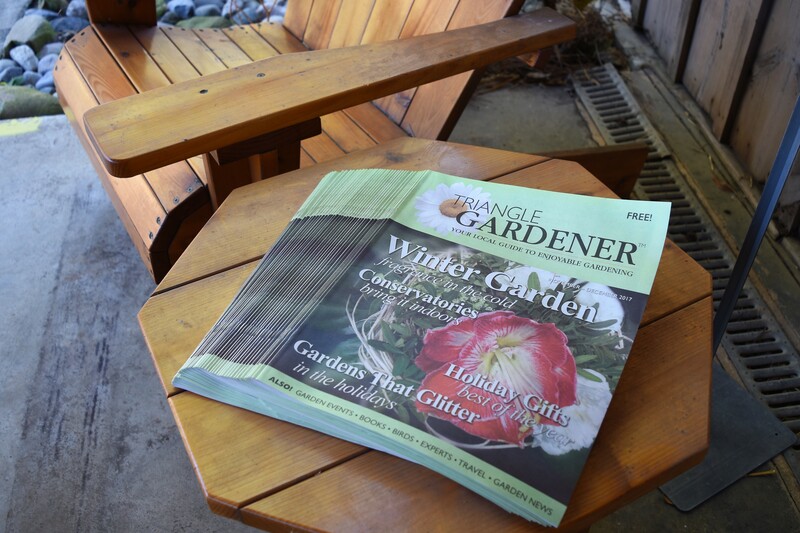 There's nothing like a good fireside read to help gardeners prepare for their spring planting ventures. These books have the stamp of approval from avid gardener and Super-Sod marketing expert, Hillary. 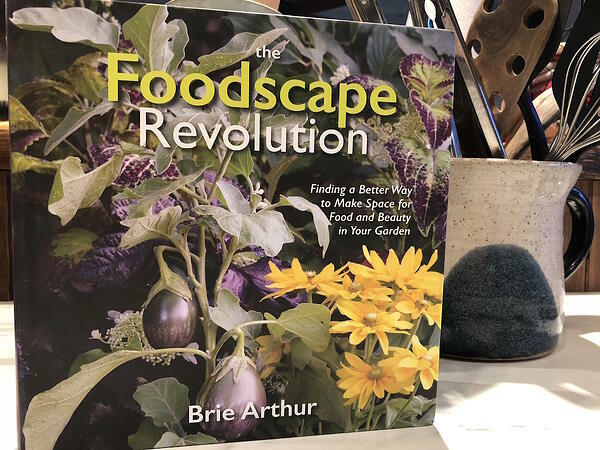 The Foodscape Revolution: Finding a Better Way to Make Space for Food and Beauty in Your Garden – Our favorite Soil3 ambassador, Brie Arthur, guides the reader through food gardening in plain sight around homes or common areas of a community. Learn which ornamental and edible plants pair best together and enrich your gardening lifestyle! 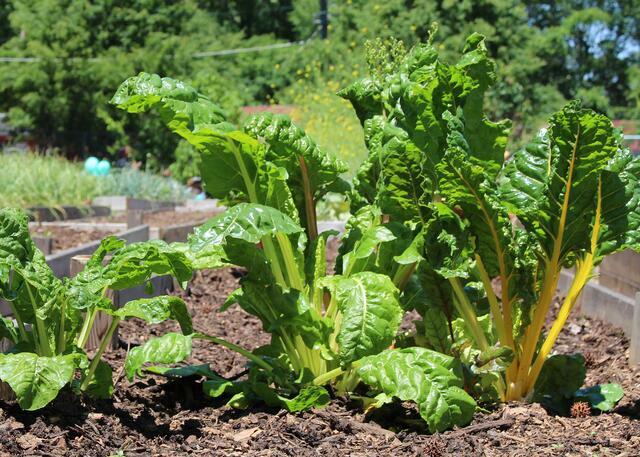 The Timber Press Guide to Vegetable Gardening in the Southeast - Regionally specific information for what to plant, when to plant, and when to harvest in the Southeast. Handy monthly planting guides and more included. The Southern Gardener's Book of Lists: The Best Plants for All Your Needs, Wants, and Whims - This workbook and sourcebook helps gardeners by dividing plants into lists of horticultural characteristics and uses, while providing tips and anecdotes along the way. The Well-Tended Perennial Garden - Essential perennial practices from planting to pruning and everything in between. Trowel – Perfect for any level of gardener, this handy trowel is also Hillary’s favorite. It comes in a variety of bright colors and has a comfortable handle to make digging all the more fun! Pickaxe – We never see Brie Arthur without her trusty pickaxe in the garden. This tool is ideal for breaking through the hard layer of Southeastern clay when a shovel just won't cut it. 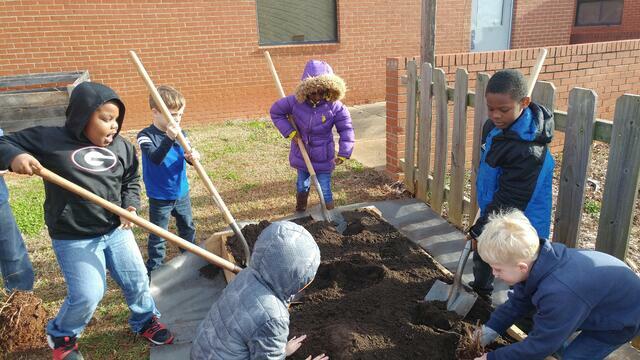 Soil Knife – This AM Leonard Tool is a favorite of Triangle gardening expert Shannon Hathaway. 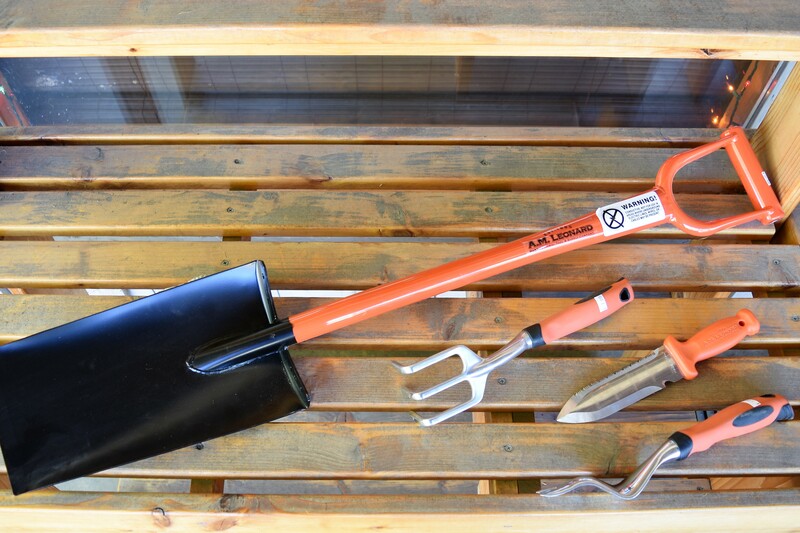 It’s her go-to tool for gardening available online or in our Cary store for $21.99. 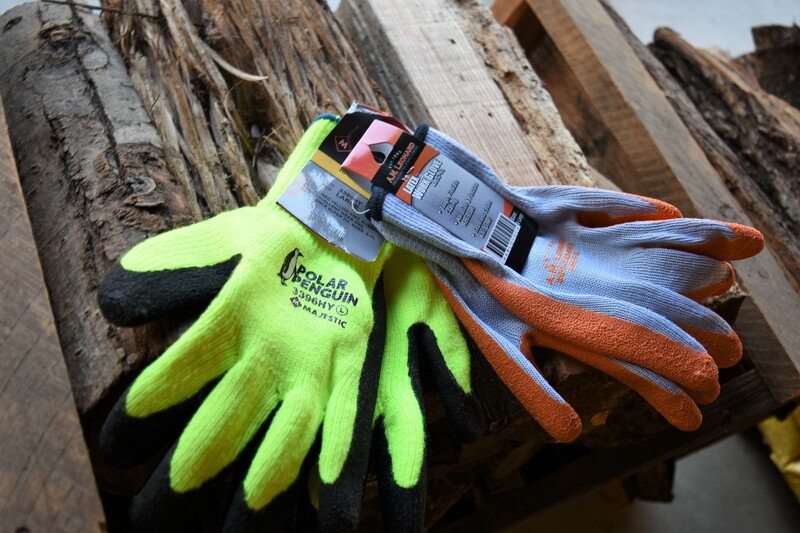 Work Gloves - For the worker ready to get dirty in the garden but avoid staining their hands before the New Years Eve party, a sturdy pair of gloves is always a good choice. 'Plant Lady' Hat – Whether she’s trying her hand at house plants or growing a vegetable garden, help the newest gardener look the part in this fun baseball cap. Doc’s Raised Garden Kit – Raised bed gardening makes use of small spaces that would otherwise be ungardenable. The compact design is perfect for a backyard garden, while it also conserves water and does away with soil compaction from foot traffic. 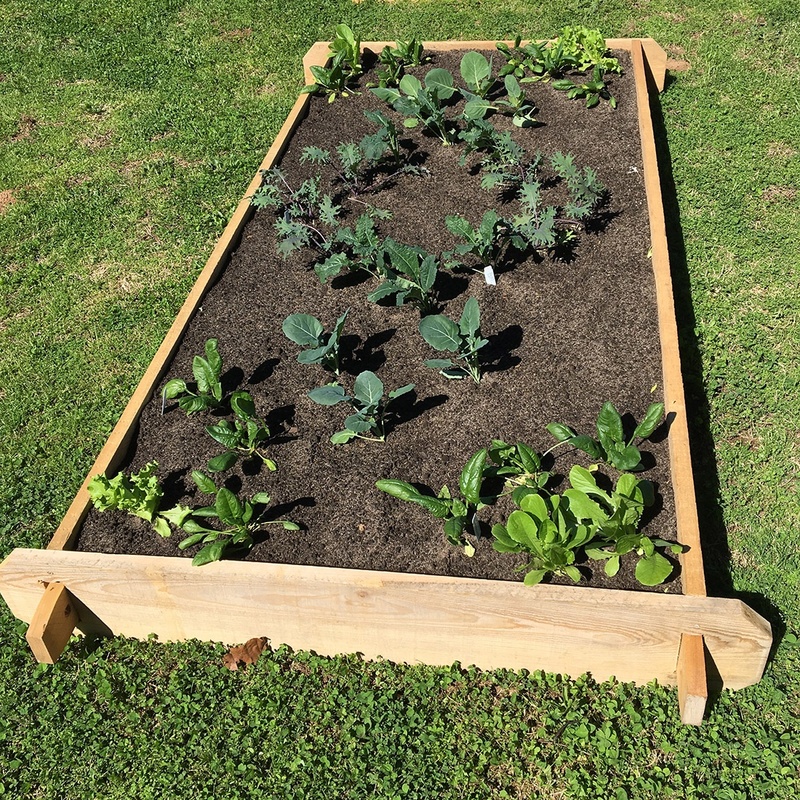 Give your loved one this 4’ x 8’ x 8” easy-to-assemble raised bed that comes in sets of 1 or 2, delivered to their door with a cubic yard of Soil3 organic compost. 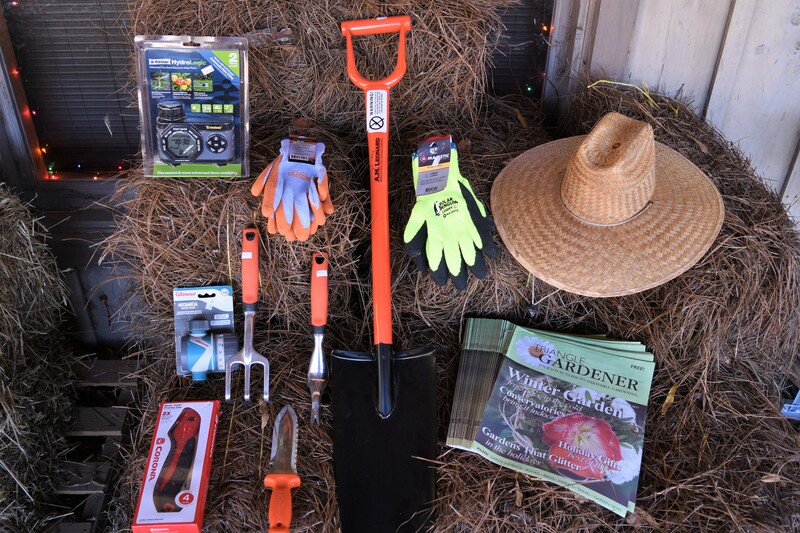 Garden Gift Certificate – If you’re not sure of the perfect timing for your beloved gardener, present them with a gift certificate to their local Super-Sod where they can spend their money on supplies, a raised bed garden, or even more healthy soil. You know this guy loves gardening but have no clue the supplies his garden shed needs. Check out some of these ideas! Triangle Gardener – North Carolina gardeners will enjoy this local publication filled with gardening ideas and local events. Give six issues of this bi-monthly magazine for $14.95. Georgia Gardening – Peach state gardening enthusiasts are sure to cherish a year-long, nine-issue subscription to this magazine for $24.95. Carolina Gardener – A second state-by-state gardening publication, this magazine is a source of inspiration for North and South Carolina residents. A year-long subscription is $24.95. 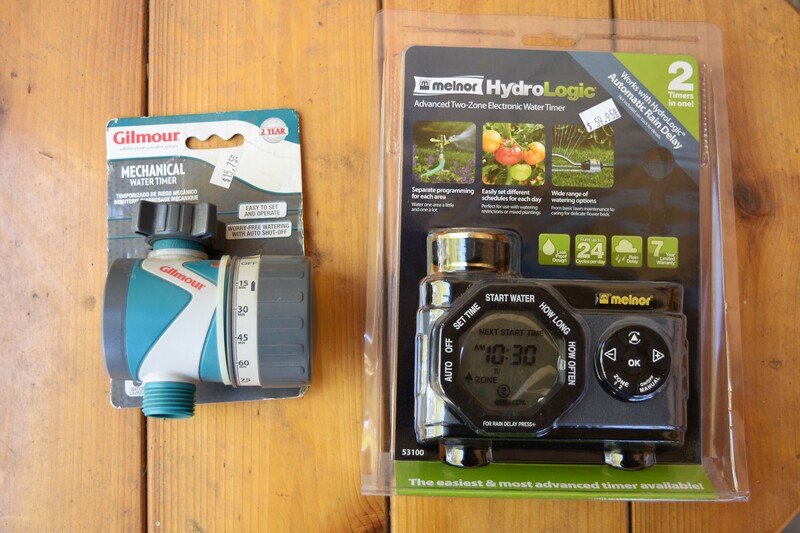 Electronic Water Timer – This timer is easy to program to cover watering for 4 different garden areas at once. Capable of watering 24 times each day, this gadget helps gardeners optimize their watering schedule without the danger of forgetting. Also available at Super-Sod of Cary for $59.95. Hose End Auto Mix Sprayer - Precise gardening and maintaining plant health is easier with Shannon’s favorite Bonide Auto Sprayer. This takes the guess work out of mixing concentrated pesticides and provides peace of mind (after carefully reading the pesticide label, of course). 'Plant Lady' Mug – Help your favorite gardener fuel up for a day full of planting by gifting her a coffee mug that describes her passion and support a small business at the same time! Vole King Planting Basket – You may have heard this gardener complain about the troubles of pesky voles invading the garden. Stuff their stocking with this surprise this year that will protect plant roots from nasty little voles. Shannon recommends picking these up at our Cary store for $16 if you’re in the area. 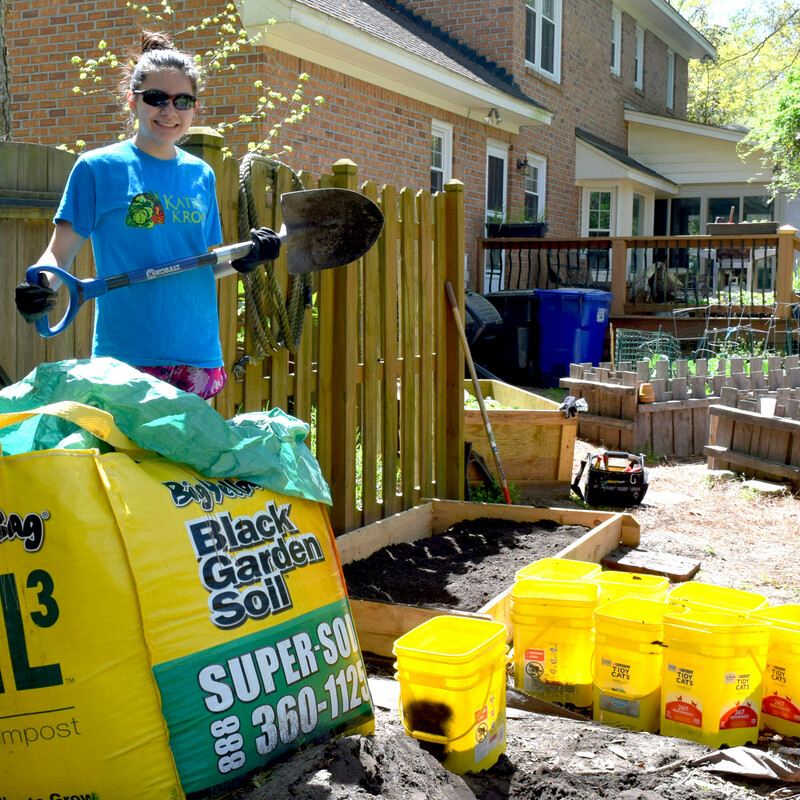 Cubic yard of Soil3 organic compost – Skilled gardeners appreciate the value of healthy soil. 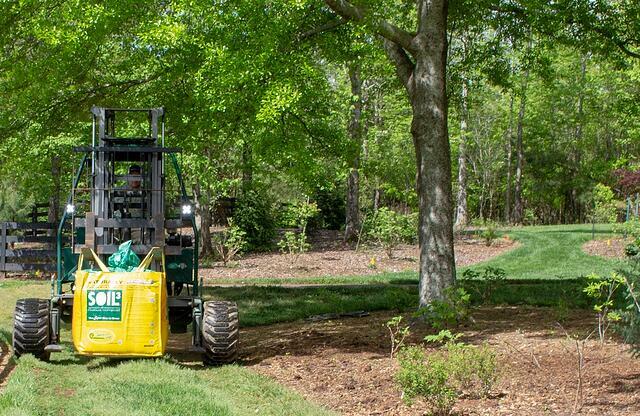 While most spend years at their home amending the soil, this allows you to skip a step and have soil delivered in a neat, yellow package. The rich, OMRI-certified organic soil is perfect for vegetable gardening, shrub installation, flower beds, and potting soil. 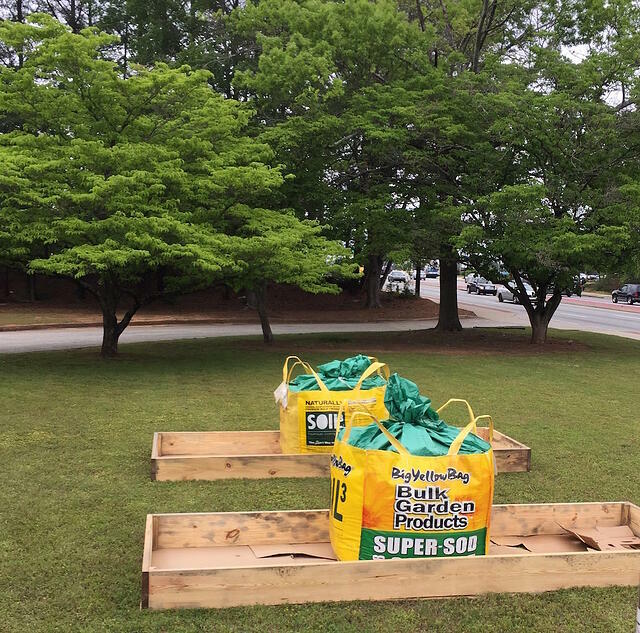 Gift Certificate for Compost – If $178 for a BigYellowBag of Soil3 isn’t in your budget for a gift, consider a Super-Sod gift certificate. That way, your favorite gardener can take advantage of our annual sale on Soil3 deliveries January through March. Has your favorite gardener requested a year without gifts? Consider donating a philanthropic organization his or her name. 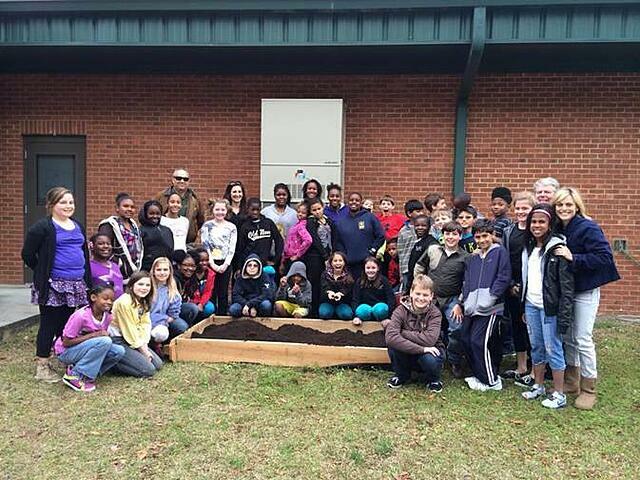 Katie’s Krops – Youth across the country grow gardens and deliver fresh produce to those in need and help alleviate the effects of poverty. Heifer International – This global charity trains sustainable farming methods to impoverished families and equips them to share this knowledge to build the economy in their community. 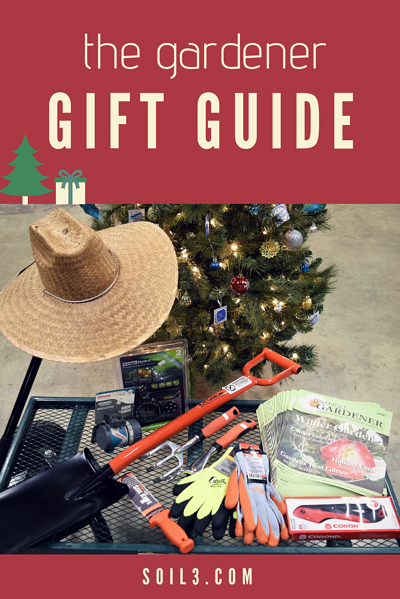 Did you find the perfect gift for your gardener on this list? Or are you a gardener who just got some fantastic ideas to give your friends and family? 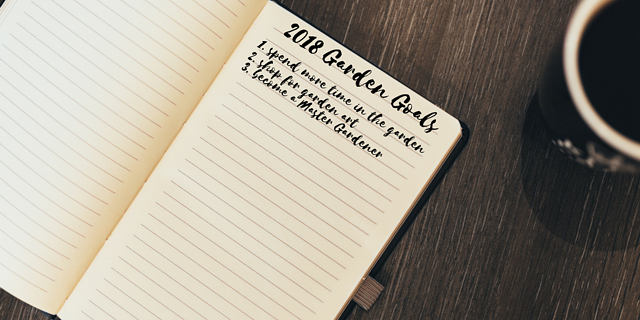 Share this list to keep folks in the loop about all the best garden necessities on your list this year!  Editor's Note: This post was originally published in December 2017 and has been revamped and updated for the current season.